Excellent doctor, very helpful and knowledgeable! I am in the process of seeking treatment for pectus excavatum. I contacted several doctors to get opinions and information about surgery and bracing options. Dr. Cazares is the only one who responded to me. He answered all of my questions quickly and thoroughly, and offered options that I never knew about . 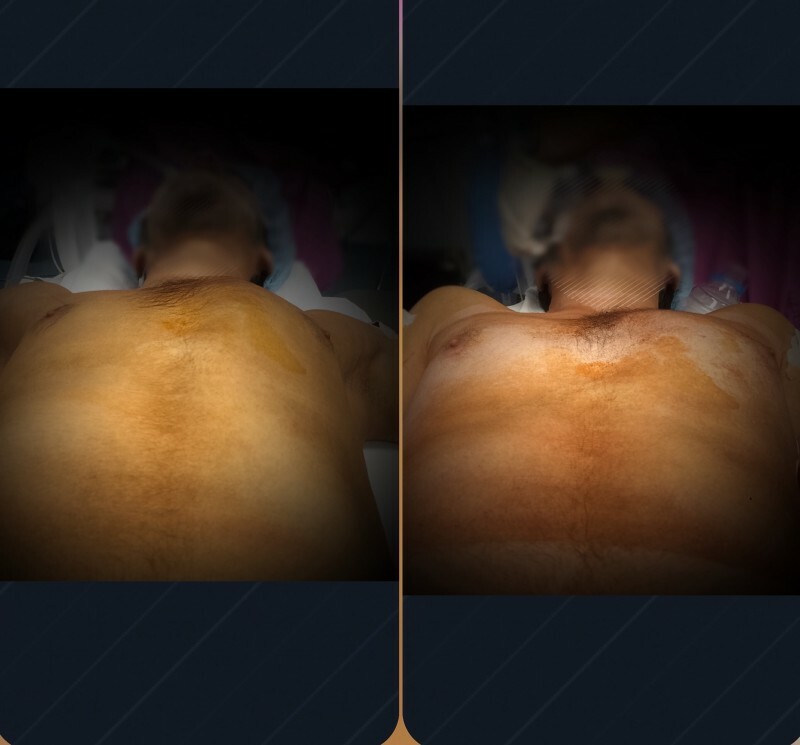 He is very knowledgeable about the condition, various surgical treatment techniques, and potential bracing options. It is clear that Dr. Cazares is passionate about his work and cares about helping people find solutions to resolve their pectus issues. I never thought I’d ever be “normal”, living with Pectus Excavatum is something that I wouldn’t wish on my worst enemy. Luckily for us living in this day in age there is help and we don’t have to spend our entire life with this burden. Finding Dr. Cazares was a dream come true. Only someone with this condition knows that hiding it from people is a full time job in of itself. Getting in contact with him was very easy and productive. From the 1st email and phone call we had he was eager to help and I could tell this man was born to fix people with my condition. Don’t Let the fact that he practices in Mexico create any doubt that he wouldn’t provide the same care as you would receive in the US. Story time, I was in Marines and my staff sergeant had this surgery with a military doctor and till this day he says he regrets it. That was enough for me to look for a civilian doctor. It was really easy to in contact with Dr. Cazares he is fluent in English and I wouldn’t be surprised if he speaks another language or two. 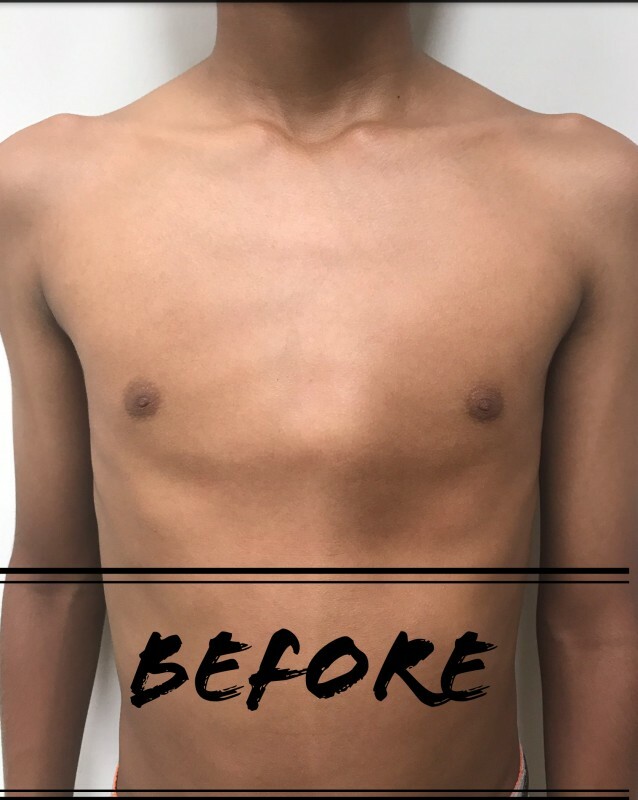 After the consultation I had no doubt in the world this was the guy for the job, I couldn’t believe I was finally going to have a normal looking chest. FYI I didn’t only have it for cosmetic reasons my Haller Index was a 3.8. 3.2 or worse usually requires surgery. I’m a 26 year old male forget to add that in. I should add that before I did see Dr. Cazares I did have to have an MRI and a pulmonary exam done. You can have it done at his hospital and he can recommend another if you’d like as well. Initially we both thought I would need to have 2 bars placed but he worked his magic and I only needed one. I’m not exaggerating when I say he knows what he’s doing. For my surgery I spent 5 days in the hospital recovering. Let’s face the facts it’s probably going to most physically painful thing you’ll experience up to this point in your life. Having said that the hospital and staff made sure I was well taken care off, they’re really a top notch facility. Dr. Cazares would visit daily to make sure everything was going fine. This man does not take a day off, I was tempted to tell him to take at least Sunday off so he could enjoy some of his weekend. He really does care and it made me feel like I was his only patient. Dr. Cazares is truly a godsend. It’s been about 6 weeks since my surgery and I feeling almost 100% it’s still a process but I’d the world’s biggest liar if I sad I’m not blown away with how the surgery came out. I wake up in the morning and still cant believe it’s over and how I look. Dr. Cazares you’ve truly changed my life and I owe you much. You were born to do this. Thank you for everything the world needs not just doctors but people like you. Thank You for my new life and outlook on life Dr. Cazares. I haven't felt this hopeful about life in quite some time. Living with pectus excavatum can really hinder you psychologically and physically.I thought I would have to live with this condition for the rest of my life, that was until enough was enough. I came across Dr. Cazares on this website. I messaged him within a few days to get some more information. He was always courteous and prompt with his replies. It took a few weeks on my end to get all the dates set up. I was a nervous before I met Dr. Cazares but after our consultation I had all the confidence in the world he would do an excellent job. When I woke up from the procedure I couldn't have been happier, my chest looked normal I almost teared up. In the 5 days I spent in the hospital Dr. Cazares stopped by everyday to check up on me and make sure I was doing well. It's been 4 weeks since the surgery and everyday I wake up I still can't believe my chest looks normal. I owe Dr. Cazares my new life. 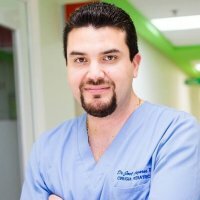 I'm so happy to have found a great doctor like him, he was born to do this surgery. If you're serious about correcting this condition don't hesitate to contact Dr. Cazares he's the most kind and professional doctor I've ever met. Thank you Dr. Cazares you're a literally a life saver! I’m happy to be able to recommend Dr. Joel Cázares to anyone with either Pectus Excavatum or Carinatum. Prior to being introduced to Dr. Cázares, I had been suffering with severe chest pain for nearly a year while trying to get in with the Dr. Jaroszewski at the Mayo Clinic. After 10 months of frustration, a good friend from the Monterrey, Mexico area, told me about Dr. Cázares and put us in touch. Dr. Cázares immediately made himself available to answer all my questions and resolve all my concerns. In all my experience with medical professionals, I’ve never known anyone, especially not a surgeon, who works so hard to stay in touch with his patients and make sure that everything goes perfectly. After talking through all the details with Dr. Cázares for several weeks, my wife and I traveled from Arizona, in the United States, to Monterrey to prepare for the surgery. Dr. Cázares helped with everything, even helping out getting admitted into the hospital. At Christus Muguerza Hospital Sur, the staff and doctors all worked in perfect harmony to ensure that I was kept comfortable and I was well taken care of. Prior to the surgery, Dr. Cázares went over everything again to make sure there were no questions or concerns and I was ready for the big day. The surgery itself went incredibly smoothly and the entire team were fantastic. Dr. Cázares was able to do the procedure more effectively and with less hardware than even the Mayo Clinic had said they would need. This helped to reduce the total surgical time and pain afterward, as well as minimizing risk of complications and reducing recovery time. Following the surgery, Dr. C visited daily for the next week and would stay for 15-20 minutes to make sure I was comfortable and recovering properly. Dr. Cázares is an amazing, kind and caring doctor. I’m glad to know him and I’m thrilled that I was able to get in with him and finally begin the road to recovery. I’m grateful to him for his expertise, his patience and his willingness to take on the added stress of dealing with international insurance and long distance medical care. Without his kindness in taking me on as a patient, I would have been waiting at least another 10 weeks in pain with no hope in sight. Instead, I am almost fully recovered and already feel far better than I had felt prior to the surgery. The cost of the procedure was pennies on the dollar and the quality and service of the hospital was at least as good as what I had experienced in the Mayo Clinic. Even accounting for the travel to Mexico, I still paid less than 10% of what I would have owed in the USA. The decision to travel to Monterrey was the best choice I could have made. Thank you Doctor Cázares for giving me back my health and giving my family their father and husband again.